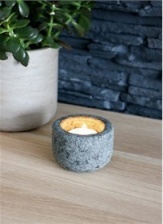 The small charcoal miners lantern. 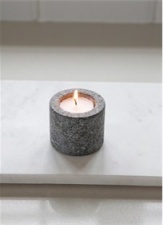 Perfect for lighting up the garden on warm summer nights, used to create a warm glow at the kitchen or dining table or set along the path for weddings or parties. 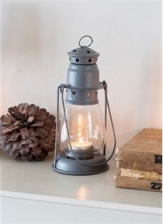 Based on the oil lamps used down the mines in the 19th century, this portable Miner’s Lantern is crafted from powder coated steel and has a glass enclosed cylinder, making it ideal for both indoor and outdoor use. Its carry handle can be hung or attached to a tree, or used to carry the lantern from garden to house to light the way.